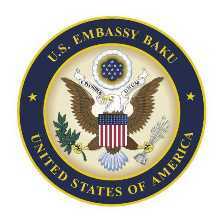 The Embassy of the United States wishes to express its concern s about actions taken by the Government of Azerbaijan to prevent the peaceful assembly of opposition groups in central Baku on April 2, including the detention of opposition activists in the days before the planned protests. The U.S. calls on the Government of Azerbaijan to respect the rights of all its citizens to freedom of assembly and freedom of expression, which are guaranteed under the Azerbaijani Constitution and international human rights instruments, including OSCE commitments. Respect for these rights is essential for promoting the sort of dialogue between citizens and their government that forms the basis for positive change and the deeper development of a culture of democracy in any society. We call for those detained in association with demonstrations to be afforded due process under the law, with open and transparent hearings and adequate access to legal counsel. This map shows the trajectory of protests. 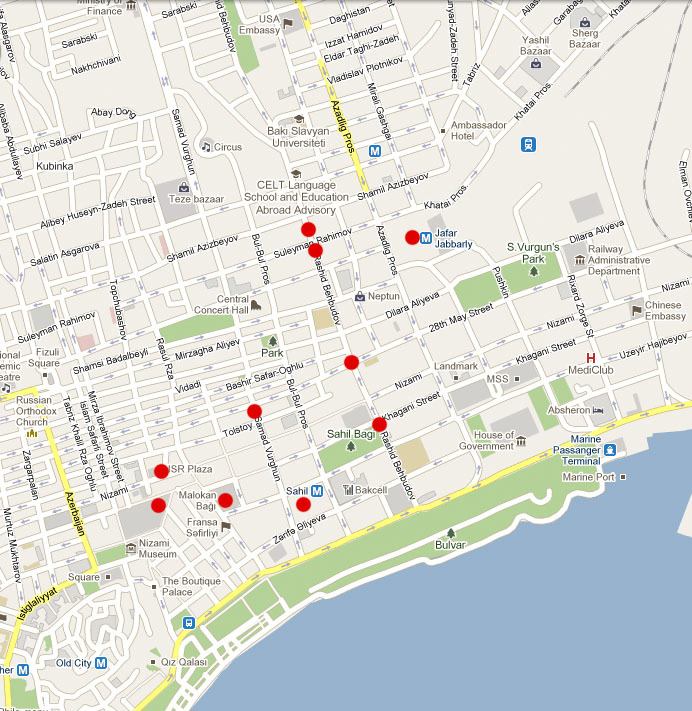 Red points are the main places where the protests were held. 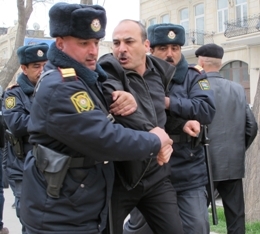 Azerbaijan Committee against Torture said that five protesters who took part in 2 April rally faced brutality at the police station. Deputy chairman of “Musavat Party” Tofig Yagublu is one of them. The chairman of Azerbaijan Committee against Torture, Elchin Behbudov, told BakuPost today that he will apply to Ministry of Internal Affairs (MIA) for inhumane behavior against these arrested people. Elchin Behbudov said that thirteen police officers are being treated at Military Hospital of MIA as the result of their injures during the protest.